You are here: Home / Miscellaneous / A New Year – What Have You Got Planned? Well, a New Year has started! What will 2013 bring? Rather than waiting to see what it will bring, I prefer to take action! I like to make things happen, and have got quite a few things planned for this year. Outside of my business, one of the big things we have going on is that we have decided to build a house. We have been living in a house since 1997, but this will be the first one that we build. It’s all very exciting being able to choose the exact layout, cabinetry, colors, lights, and so forth. We actually spent a full day this week working on choosing things. It got me thinking a bit about how much time we plan (or don’t plan) our businesses. It is easy to spend time planning out things that are fun and enjoyable, such as building a new house or your upcoming vacation. However, have you taken the time to sit down for a few hours and plan your business for this year? If you haven’t yet, it’s very important that you do, because otherwise you are like a ship without a rudder – you will drift aimlessly. If you are still working a job and have family commitments, you have to be reasonable with how much time you have. However, you must also not use the lack of time as an excuse of why you are not taking action. This is a very easy trap to get sucked into, and will not do you or your family any good if you have this mindset. Making a list can keep you on track, and prevent you from wasting important time. Try to group like tasks together so that you can work on similar things all at once, saving precious time in the process. Cross things off your list as you proceed. Health professionals in Canada, who hold a license to practice, need to take part in continuing education in order to stay current and up to date. Owning and running your own business is no different. Determine what areas you are lacking in, and are interested in learning more about. Then you can choose education topics that are pertinent. This is especially important as your inbox is likely to get filled with all sorts of other “shiny” offers, which can be distracting. When I started out, I didn’t even know how to make a WordPress website. So my plan was to start with finding a course on doing that. Now, I’ve moved on to more membership forums that are pertinent to the area I’m working in, and that allow me to ask questions and help others. For more information on the courses I’ve taken (I’m in the process of taking some other ones right now – not all are listed), you can find out more here. It’s very easy to put off working on your business if you are tired or busy. However, keep reminding yourself of where you want to be in a year from now, and that the only way to get there is through action. This is where I haven’t been as effective at my own business. However, this is important to consider as all the big-name internet marketers don’t do all the work themselves. They have teams that they outsource to, and many function more as the CEO’s of their businesses. * If you are a blogger, there is a free 2013 blogging calendar that you can download here. 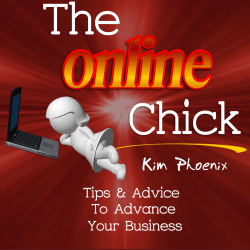 It’s a great way to keep yourself organized and on top of what’s going on in your business. Be sure to look through the pages of the calendar, as there is a variety of tips on topics such as guest blogging, etc. * I’ve told you about this before, but in case you missed it, here’s a free video course on how to start developing systems in your business, and market your business. * As mentioned before, you can also take a look at what services and products I’ve purchased to help me with my business here, as some of them might be what you’re looking for to take your business to the next level. Please let me know if you’ve got any questions. Building a house sounds like a lot of fun, getting to choose everything from the ground up. I’ve definitely been thinking not only about the amount of time that I can devote to my business but also the tasks that I will do to bring me further towards my goals. I’ve also been working on focusing more when performing important tasks. And sometimes the best thing that will bring us further towards our goals, is to realize when we can’t do everything ourselves. That’s when it becomes necessary to consider whether it’s time to bring on a team of helpers. You are quite right in that you want to focus on the important tasks – those tasks that make you money and help you reach your goals. That’s awesome on the house and these are great planning tips as well. This year I’ll be sticking to the plan even better. I think we all forget to stick to the plan at times. I feel like I’m finally making progress, so I hope that this year will feel like that for you too!